Your work brings smiles all around. You’re ready to connect with customers and coworkers, make a good living and advance your sales career. At Slumberland, everything is in place for you to succeed right away—and we’ll help you stay on that successful track throughout your career. Whether you want to take on more and more challenges in different sales roles, or move into management positions that still engage your sales skills, we’ll give you the opportunity and support you need to thrive professionally. 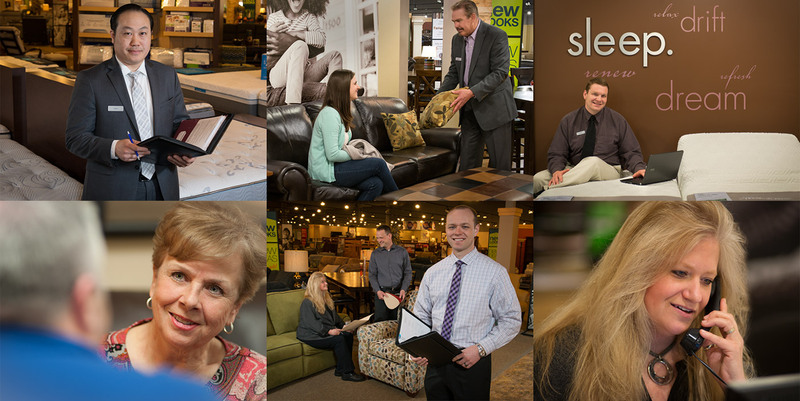 At Slumberland, people don’t come in just to browse. They come in to buy. As a part of our constantly growing business, you’ll be working with the latest products that customers flat-out want. And as you’ve probably seen, we run weekly ads in a wide range of media. We want to give our customers a good experience, and that means our sales professionals will always have the right materials to be successful. 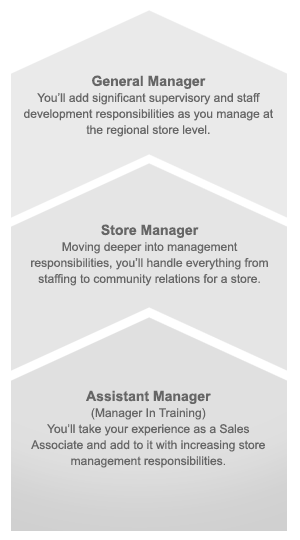 Here's one example of the professional path you can take at Slumberland.